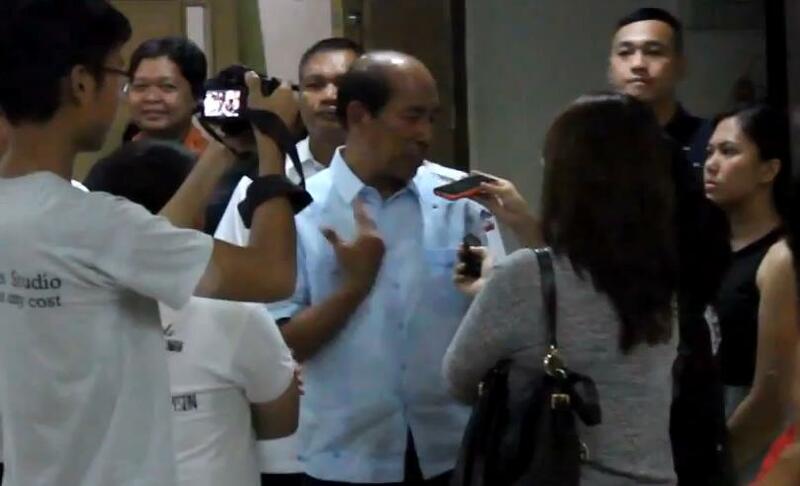 The confrontation last September 18 at the UP School of Economics (UPSE) in Diliman occurred as Abad, cordoned by his burly bodyguards, jostled their way past a group of students in order to dodge the critical questions on the DAP being hurled against him. He had just spoken at a forum where he defended the DAP and justified the failure of the Aquino regime to allocate sufficient resources for UP, other state universities and public services. In a vain attempt to gain public sympathy, Abad and Malacañang described the students as “rowdy hooligans”. Abad even had the gall to call on UP authorities to “do something” and insinuated that failure to do so would result in further budget cuts to the state university. They issued veiled threats against democratic mass actions which they disparaged as “mob rule”. They were later joined by a number of UPSE professors who waved the flag of “decency and courtesy”, yet are pathetically silent on the matter of corruption and pork barrel and the key role played by Abad in concocting the DAP. Indeed, Abad was provided a forum at the UPSE sponsored by groups that find more congruence than discord with the ruling regime. They shrouded Abad with the mantle of “academic freedom” to provide him all the leeway to justify the regime’s corruption and policy of liberalization, privatization, deregulation and denationalization with nary a critical voice. In confronting Abad, the UP students were able to express the Filipino people’s disgust against Abad, and the corruption and coverups of the Aquino regime. Considering the gravity of their transgressions, Abad and his ilk deserve much more than a castigation. The crimes of the Aquino regime involve the use of hundreds of billions of pesos of pork barrel and bribe money to advance the self-serving political interests of the ruling Aquino clique. The Filipino people demand full accountability from Abad, Aquino, and all his officials involved in the DAP and other pork barrel schemes. They long to see Aquino and all big bureaucrat capitalists behind bars.